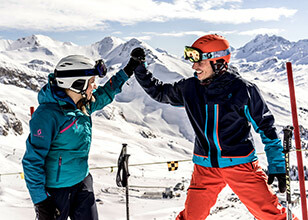 In the heart of Ischgl, right next to the valley station from the Fimba-Bahn, with view over the „Prennerhang“, is the Apart Garni Eveline located. From this place you reach everything by foot, but you do not have to pass on your sleep. Bars, restaurants, shops and grocery stores are located nearby. 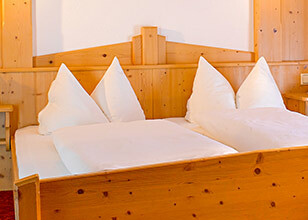 We offer you comfortable and cosy rooms and studios for your stay in Ischgl. 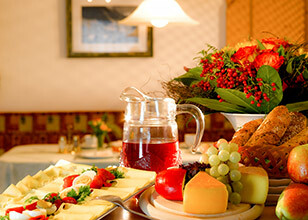 In the morning a delicious and local breakfast is waiting for you, so you can start your day right. We are looking forward to welcome you at the Apart Garni Eveline.